🌟🌟🌟🌟🌟 The Scary Doll Halloween theme will let you show you Halloween spirit with stylish icons and backgrounds. 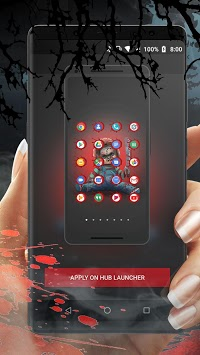 This Hub Launcher Supported theme will turn your phone into a fun display of Halloween themed backgrounds paired with fun icons! 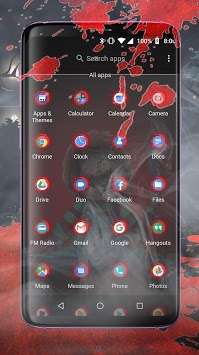 It’s easy to use Scary Doll Halloween Theme just download and follow the prompts to Install or Apply Theme. Hub Launcher is one of the most highly rated customizable launchers in the play store! 🌟 Small – it’s small file size will be lightweight and efficient on almost any device. It will be breezy and easy to use! 🌟Stylish – download any the 500,000+ themes are the compatible in the Playstore to make your phone your own! With endless possibilities you can customize to your own unique style. 🌟 Talk To Search – Just hit the microphone in the search box and say what you are looking for. The search results will be at your fingertips in seconds. Saving time while getting the search results that you wanted all wrapped into your custom theme! 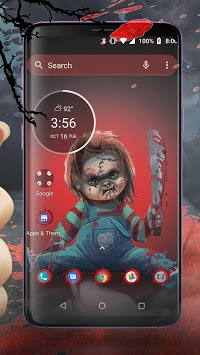 ⬇️ Download Scary Doll Halloween Theme and Icon pack. Comment and share with your friends!